At lemuscontracting, we take pride in the excellence of our work, We care about Good Quality Work and Customer Satisfaction and commitment to all of our clients. For Many years, we’ve been helping homeowners and business owners realize their dreams by providing Good Quality remodeling services at a fair price. Whether you want to Finish your Basement, remodel your Bath, Remodel your house, handymen work , Painting.whether the project is big or small, call lemuscontracting and we can help. We at Lemus Contracting Inc. always strive to achieve the best expected quality in any of the work that we do, either in painting, drywall, or remodeling. We assure you that our team of experts will deliver a work of the best quality that will satisfy all your expectations. 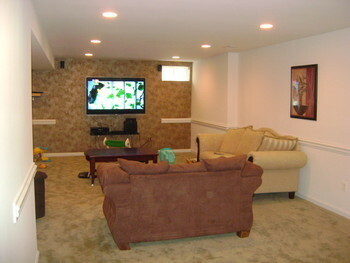 Lemus Contracting Inc. is a professional painting, drywall, and remodeling company. We do projects ranging from large residential and commercial, to small interiors and exterior jobs. Our trained and experienced painters and drywall men are committed to satisfying the highest expectations of our customers. Call us today. We do commercial and residential work.